This page was recently updated and is awaiting translation. Click here to view a PDF of the old content in its translated form. The Structural Mechanics Module is an add-on to the COMSOL Multiphysics® platform that brings you modeling tools and functionality tailored for analyzing mechanical behavior of solid structures. Application areas include mechanical engineering, civil engineering, geomechanics, biomechanics, and MEMS devices. Using the Structural Mechanics Module, you will be able to answer questions concerning, for example, stress and strain levels; deformations, stiffness, and compliance; natural frequencies; response to dynamic loads; and buckling instability, to name a few. 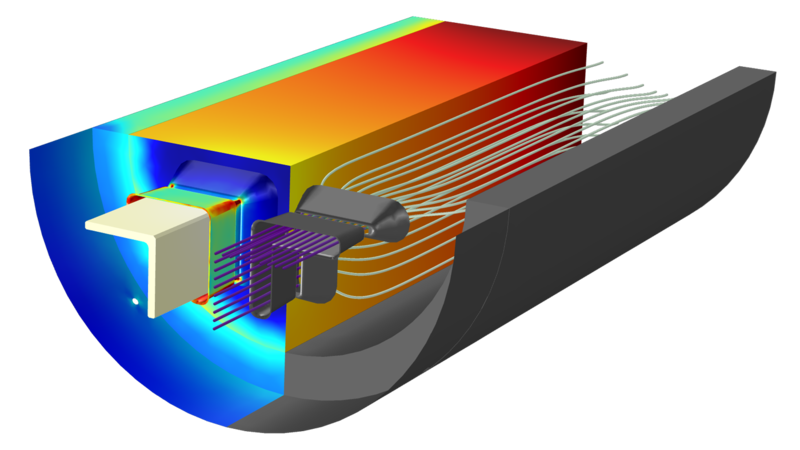 Combining the Structural Mechanics Module with other modules from the COMSOL® product suite allows for further extending your models to include heat transfer, electromagnetics, and fluid flow effects — all within one simulation environment. 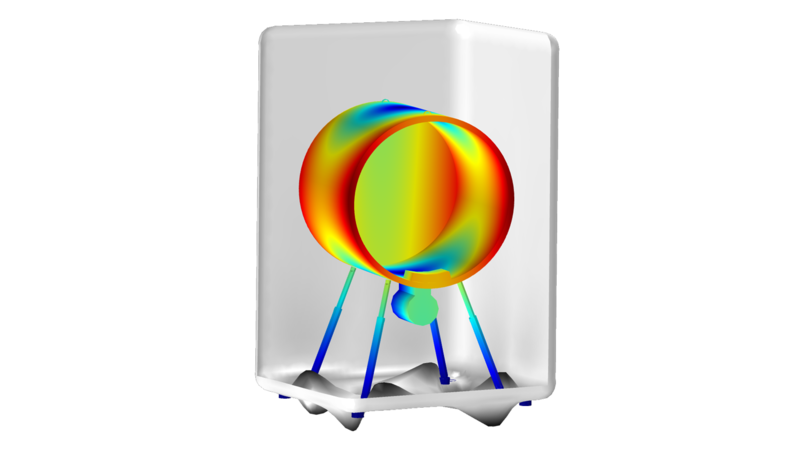 The COMSOL Multiphysics® FEA software comes with predefined physics interfaces with specialized settings, making it easy to set up and run analyses. The Structural Mechanics Module includes both predefined material models to choose from and the ability to enter user-defined material models, depending on the nature of your analysis. You can also optimize the geometric dimensions, loads, and material properties of your designs with the Optimization Module add-on. View more details on what you can model with the Structural Mechanics Module below. Did You Know? Physics interfaces are predefined packages containing element formulations, material models, and boundary conditions for a certain field of physics simulations. The Solid Mechanics interfaces, available in 3D; 2D (plane stress, plane strain, and generalized plane strain); and 2D axial symmetry, provide the most general approach to analyzing solid structures. By using a geometrically nonlinear formulation, you can analyze situations with arbitrarily large rotations and strains. There is a wide variety of material models to accurately describe your solid mechanics problem, and it is easy to extend these features via equation-based modeling. Define material properties yourself with constant, spatially varying, or nonlinear expressions; lookup-tables; or combinations of these. Elements can be activated and deactivated based on user-defined expressions. Contact modeling can include static and dynamic friction, adhesion, and decohesion. The objects in contact can have arbitrarily large relative displacements. For thin structures, using shell (3D, 2D axisymmetry) and plate (2D) elements can be very efficient. The formulations allow for the transverse shear deformations needed to model thick shells. You can prescribe an offset in the direction normal to a selected surface, which simplifies modeling where you work with a full 3D representation of the geometry. The results from shell element analyses can be presented on two parallel surfaces, which effectively results in a 3D visualization. Very thin structures, such as thin films and fabric, require a formulation with no bending stiffness. This is possible in the Membrane interface, in which curved plane stress elements in 3D or 2D axisymmetry are used to compute in-plane and out-of-plane displacements. When studying this type of structure, the ability to start from a prestressed state is used extensively. A Solid-Shell connection is created to run an analysis on a bracket. Left: The top (black) and bottom (white) shell surfaces, with the solid portion shown in silver. Right: The rainbow plot shows the stresses in the bracket. There are specialized element types for modeling beams, which are slender structures that can be fully described by cross section properties, such as areas and moments of inertia. Formulations for both slender beams (Euler-Bernoulli theory) and thick beams (Timoshenko theory) are available. Predefined couplings allow for mixing beams with other element types to study reinforcements for solid and shell structures. It is also possible to evaluate the cross section properties for arbitrary 2D cross sections and use them as inputs for beam analyses. Additionally, the Structural Mechanics Module enables you to model slender structures that can only sustain axial forces (trusses). These elements can also be used for modeling sagging cables and reinforcements. The Structural Mechanics Module provides you with a multitude of different loads and constraints, which facilitates high-fidelity modeling. Bolt pretension is included in this tube connection model that also includes stress linearization. 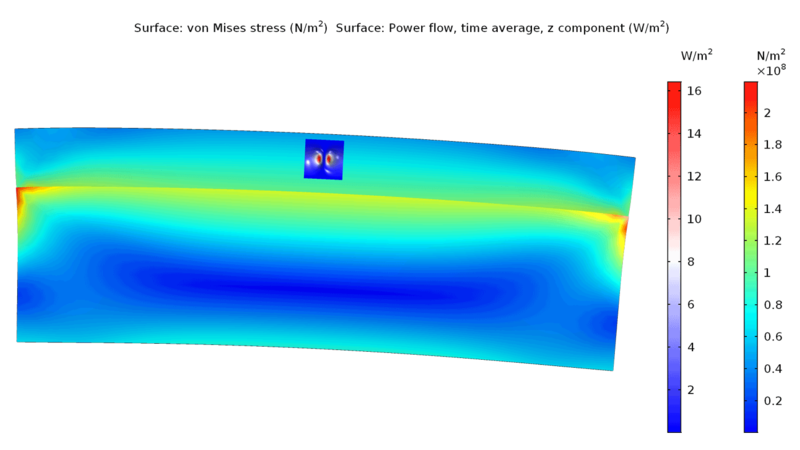 The Structural Mechanics Module provides linear elastic, viscoelastic, and piezoelectric material models, but you can also access nonlinear materials by adding the Nonlinear Structural Materials Module or the Geomechanics Module. The material models can also accommodate thermal expansion, hygroscopic swelling, initial stresses and strains, as well as several types of damping. Material properties can be isotropic, orthotropic, or fully anisotropic. The Nonlinear Structural Materials Module and the Geomechanics Module extend the capabilities of the Structural Mechanics Module with a wide range of nonlinear material models. Seamlessly integrated in the COMSOL Multiphysics® GUI, these add-on products can be used for pure nonlinear mechanical analyses or combined with other add-ons for multiphysics analyses. In all, you will find more than 75 different material models for structural mechanics. A damper used for vibration reduction in structures is modeled with viscoelastic material models. You can also analyze thin, layered structures with the addition of the Composite Materials Module. This add-on module employs specialized layered material technology with two variations, layerwise theory and equivalent single layer theory, which each provide their own benefits. This module can be used to model layered composite materials such as fiber-reinforced plastic, laminated plates, and sandwich panels found in aircraft components, spacecraft components, wind turbine blades, automobile components, boat hulls, and more. Stresses in a wind turbine composite blade made up of thick PVC foam as a core material surrounded by several layers of glass fiber composite on each side combined with an external carbon fiber cladding. You can compute the fatigue life of structures using the Fatigue Module, which is available as an add-on to the Structural Mechanics Module. 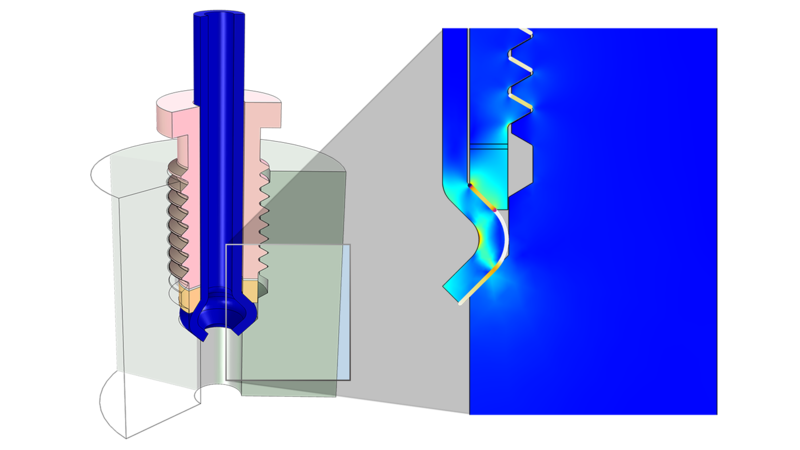 The Fatigue Module allows for a variety of fatigue analyses including strain-, stress-, and energy-based fatigue and is completely integrated with the COMSOL Multiphysics® simulation environment. The maximum fatigue usage factor is shown in the spoke of a wheel rim after high-cycle fatigue analysis. 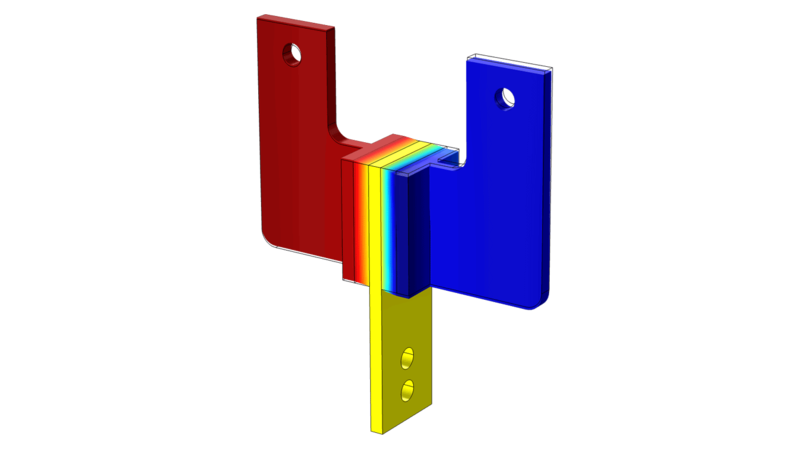 Analyze multibody systems with the Multibody Dynamics Module, which is available as an add-on to the Structural Mechanics Module. 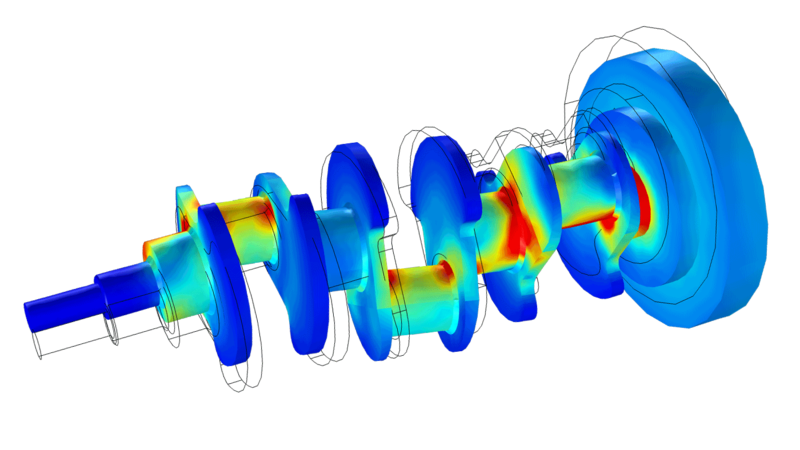 It provides an extensive set of tools for simulating mixed systems of flexible and rigid bodies. Couplings to the Solid Mechanics, Shell, and Beam interfaces give access to the full range of structural mechanics features. An eigenfrequency analysis of a vibrating washing machine gives the mode shape, and a time-dependent analysis gives the associated displacement. Add the Rotordynamics Module to model components and parts in rotating machines where asymmetries and rotation can lead to instabilities and damaging resonances. A reciprocating engine crankshaft is modeled as a solid rotor with hydrodynamic bearings to give the stress in the crankshaft and the fluid pressure, journal orbits, and lateral displacement of the bearings. In order to produce simulations from structural designs generated with third-party CAD software, you can choose from the interfacing products below to connect with COMSOL Multiphysics®. Import a variety of industry-standard CAD formats into COMSOL Multiphysics® for simulation analysis using the CAD Import Module. Available features include options to repair and clean up your CAD geometry to prepare it for meshing and analysis, as well as access to the Parasolid® geometry kernel for advanced solid options. The Design Module also includes these features, plus it lets you perform the following 3D CAD operations: loft, fillet, chamfer, midsurface, and thicken. Choose from a line of interfacing products that let you import designs from CAD software into COMSOL Multiphysics® to perform advanced simulations. With the LiveLink™ products, you can keep the parameterization of the CAD-native model so that you can perform parametric studies and optimization in the COMSOL® software, without having to reconstruct model parameters. You can also simultaneously update geometry parameters in both the CAD system and COMSOL Multiphysics®, as well as perform parametric sweeps and optimization over several different modeling parameters. 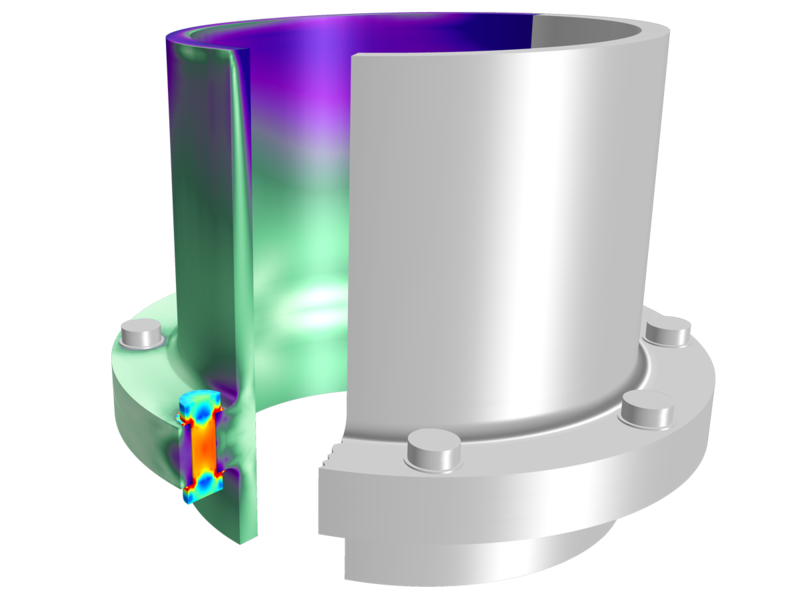 A pipe fitting geometry is imported into COMSOL Multiphysics® for analysis. The geometry is simplified to a 2D axisymmetric model. 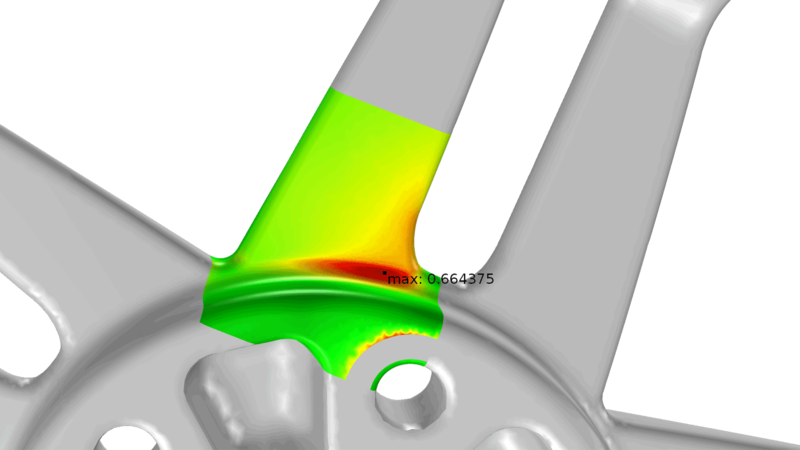 The resulting analysis shows the stresses in the steel fitting and the pressure at the contact points. There are many situations where the structural behavior is tightly coupled to other physical phenomena. One of the advantages with COMSOL Multiphysics® is the ease by which you can mix two or more interactions, all within the same software environment. For many common cases, there are built-in coupling features, as described below. For other cases, you can easily set up the couplings yourself. Study the interaction between a fluid and solid structure, including both fluid pressure and viscous forces. The deformations of the structure, which act as a boundary condition on the fluid, can be arbitrarily large. The fluid-structure interaction can occur between parts, where the fluid and structures share a mesh, or assemblies, where there does not have to be a common boundary with a shared mesh. 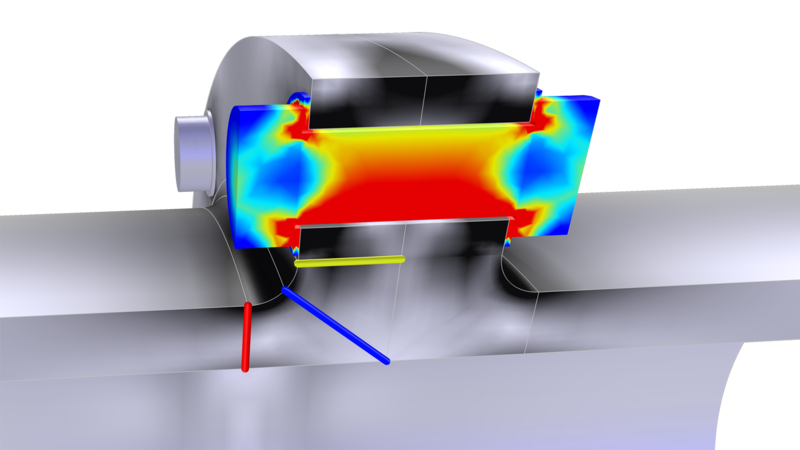 Simulate thermal stress and thermoelastic damping with specialized multiphysics couplings. The structure’s material properties can also depend on the temperature field. 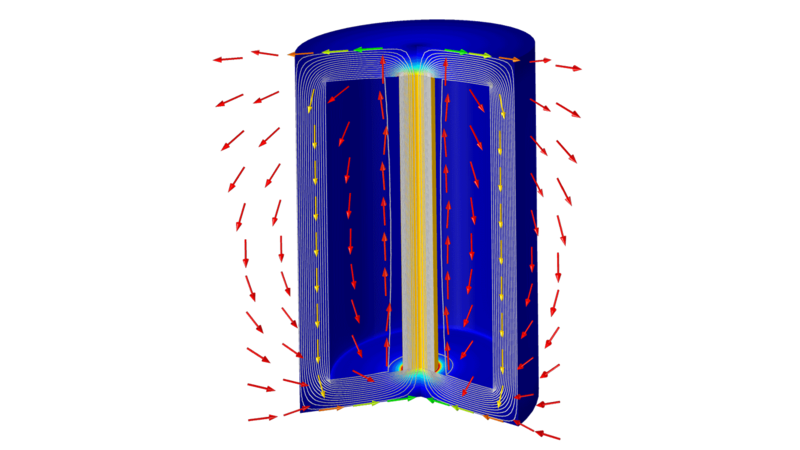 Contact stresses can affect not only the mechanical solution, but also the heat flux through a contact surface. Investigate acoustic-structure interaction; vibration; acoustic-shell, solid-acoustic, and piezo-acoustic interactions; and elastic wave propagation by adding the Acoustics Module. 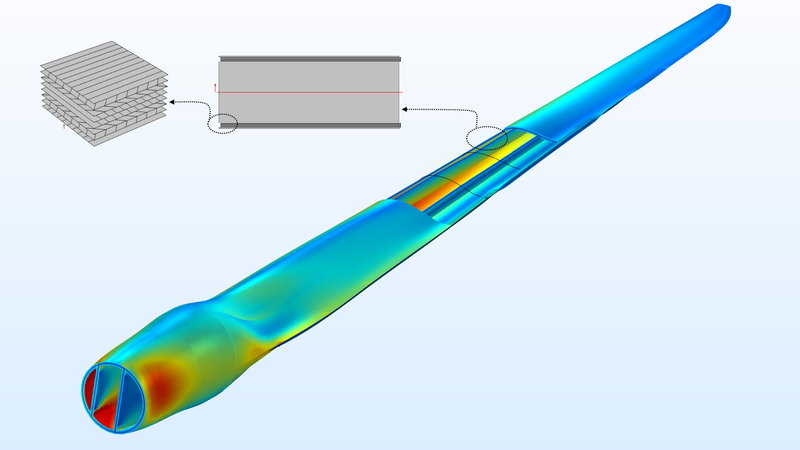 Add the Subsurface Flow Module to enhance the solid mechanics interfaces with poroelasticity and porous media flow. Piezoelectric devices can be accurately modeled using a built-in coupling between the Solid Mechanics and Electrostatics interfaces. Material properties for many popular piezoelectric materials are available. Combine the AC/DC Module with the Structural Mechanics Module to couple solid mechanics and magnetic physics to model a wide range of sensors and actuators, based on the principles of magnetostriction. 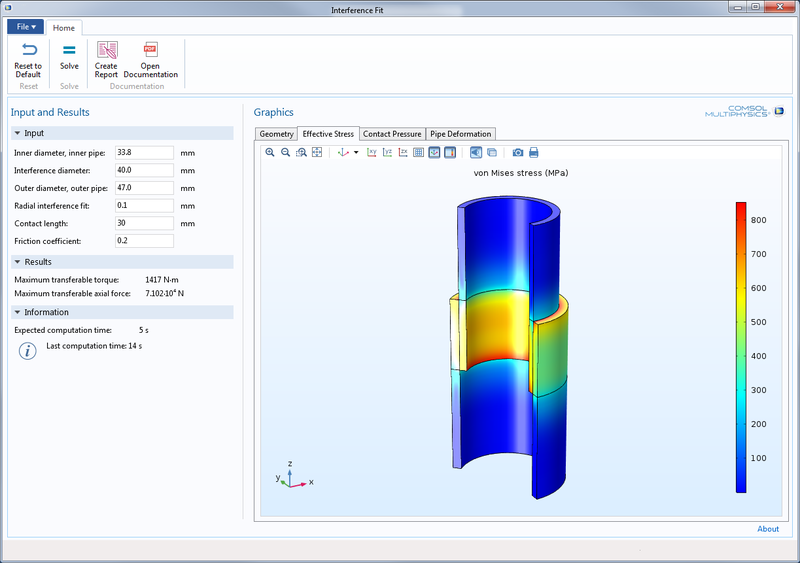 Add the MEMS Module for structural simulations that are specific to MEMS. The built-in couplings make it easy to analyze piezoresistivity, electromechanical deflection due to electrostatic forces, and electrostriction. 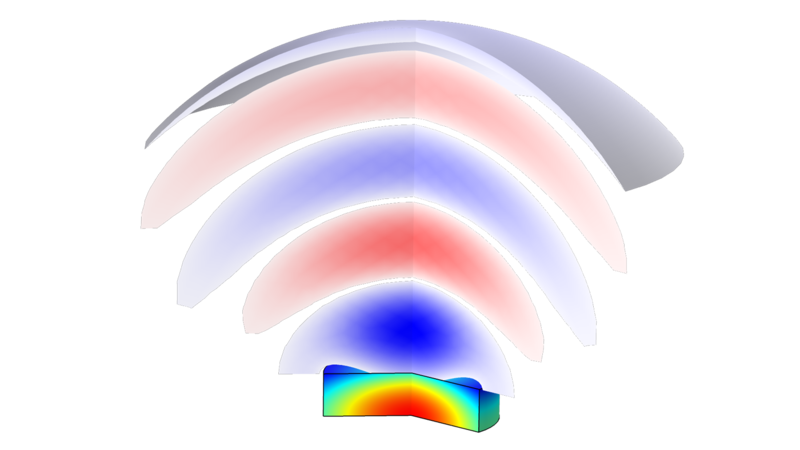 Combine the Structural Mechanics Module with the RF Module, Wave Optics Module, or Ray Optics Module for analyses where mechanical deformation and stress affect the performance of RF, microwave, or optical devices. Combine the AC/DC Module with the Structural Mechanics Module to add electromagnetic effects to your structural analyses, such as deformation due to electromagnetic forces, thermal expansion from Joule heating, and electro-thermo-mechanical contact. In the aluminum extrusion process, both fluid-structure interaction and thermal stresses are taken into account. This piezoacoustic transducer model solves for the stress and deformation in the transducer from the electric load, as well as the generated acoustic pressure. 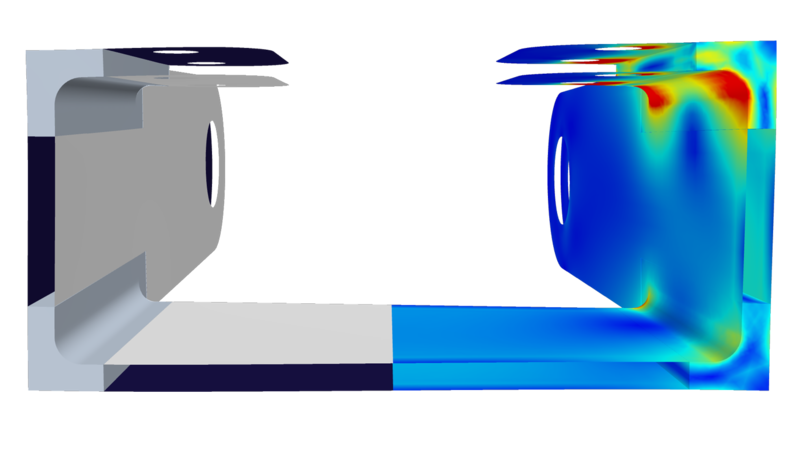 A magnetostrictive transducer is modeled to simulate the stress and displacement in the transducer, as well as the magnetic field throughout. In this prestressed micromirror example, the electrostatic force displaces the body, while the arm ends are fixed in place. 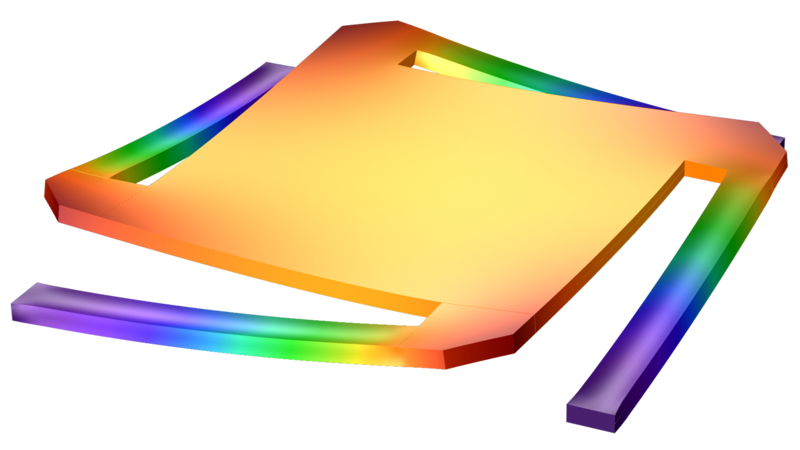 The stress-optical effect is demonstrated in this photonic waveguide by running a structural analysis followed by an optical mode analysis. Think of the time and energy you would be able to devote to new projects if you did not have to run repetitious simulation tests for other people on your team. With the Application Builder, included in COMSOL Multiphysics®, you can build simulation applications that further simplify the simulation workflow by enabling you to restrict the inputs and control the outputs of your model so that your colleagues can run their own analyses. With specialized applications, you can easily change a design parameter, such as a geometrical dimension or material property, and test it as many times as you need without having to rerun the entire simulation. You can use applications to run your own tests more quickly or distribute applications to other members of your team to run their own tests, further freeing up your time and resources for other projects. You can expand the capabilities of simulation throughout your team, organization, classroom, or customer base by building and using simulation applications. In this interference pipe fitting application, a user can edit the pipe dimensions, overlap region, and friction coefficient to see their effect on the effective stress, contact pressure, and deformation of the pipes. どのビジネスもシミュレーションニーズもそれぞれ違います. COMSOL Multiphysics® ソフトウェアはあなたの要望を満たすかどうかをきちんと評価するために, 我々にコンタクトしてください. 我々のセールス担当と話をすれば各個人に向いたお勧めや, しっかり文書化されたモデルなどをお送りすることができ, 最大限の評価結果を引き出すことができます. 最終的にどのライセンスオプションがあなたの要望にとって最適かを選択することができます. "COMSOL へコンタクト" ボタンを押し, あなたの連絡先詳細と特別なコメントや質問があればそれを記入して, 送信していただくだけで済みます. 1ビジネス日以内に我々のセールス担当者から返事が届きます.